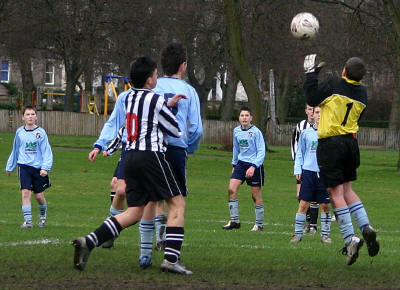 CHRISTMAS came early for Leith Athletic 93 in their under-14 Paladin Cup semi-final clash with Edinburgh City Colts at Leith Links, with a goal from Fraser Andrews in extra time clinching a spectacular 2-1 win and booking them a place in the final of this Eastern Region Youth FA event in the New Year. 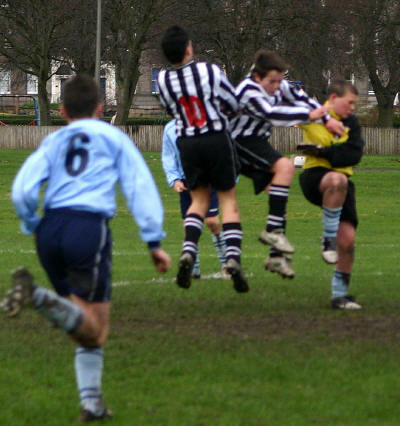 How did Leith Athletic 93 - one of three squads in the same age group at this massive 600-strong membership at Leith Athletic FC - manage to fight back from trailing 1-0 (and a mauling) to see off the challenge from the visiting outfit? Colts spokesman, George Gaunt, still wondering how his side lost, said: "We should have had the game won in the first 20 minutes, but if you don't put the ball in the net you will not win games! We should have scored enough goals in that period to have clinched our place in our second final of the season!" Leith goalie, Mark Rennie, was positively outstanding in repelling the Colts attack, bringing off save after save before Nicky O'Donnell followed up to score from a rebound after a wonderful long-range free-kick from Sean Hay rebounded off the Leith crossbar in the 23rd minute. That goal was long overdue in coming, but the home side shocked Edinburgh City Colts, forcing their way back in to the game with good passing movements up the right flank and it was from there that Leith scored a stunning equaliser in the 28th minute, the very good Jordan Lothian coming in from the right to fire a powerful shot in to the roof of the Colts net off the leg of a defender to make it 1-1. Edinburgh City continued to enjoy the bulk of the play and Rennie and his defensive colleagues in the Leith ranks enjoyed enormous luck in somehow preventing City from going back in front. Craig Lamb could have had a hat-trick for the visitors, but Rennie denied him time after time with brave stops. But the warning signs were there for the visitors and gradually, the confidence in the home ranks started to show, with good breaks headed by big No 9 David Hutchison causing problems for Colts keeper, Adam Moore, in the lead up to the half-way stage. It was still 1-1 at the interval and, after missing so many good chances, there were doubts that this was going to be Edinburhg City Colts' day! And so these doubts were proved to be correct as the match unfolded. The home side had much more of the play in the second half, but neither team was able to establish control and chances went abegging at both ends of the pitch. The best chance in the early stages fell to Colts No 12, Jordan Lock, who beat Rennie to a through ball, but pulled his shot wide of the empty goal! 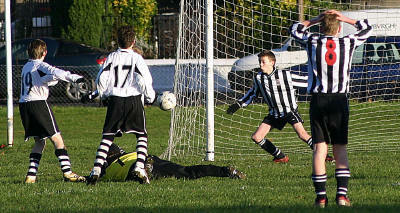 Then it took a desperate clearance in the Colts goalmouth to stop Hutchison scoring a second goal for the home outfit. 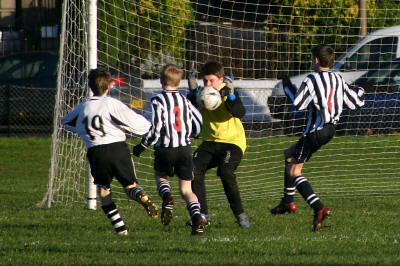 It took a great save from Moore to deny Hutchison again as the game raced from end to end. The tension among the players was evident and the ball was moved quickly up and down the park, with no one wanting to make costly mistakes. Almost inevitably, the sides were still locked at 1-1 at the end of normal time, forcing the game to go in to extra time then Andrews came up with his Christmas special of a winner for Leith. George Gaunt, added: "It was the same story in extra time, we (Edinburgh City Colts) made and missed several chances and it was Fraser Andrews who punished us by scoring the winner for Leith Athletic! We are disappointed, but we are currently lying second in the league table and we have qualified for another cup final in the New Year. If someone had said to me at the beginning of the season that we would be in this position at Christmas, I would have 'bitten their hand' off! " 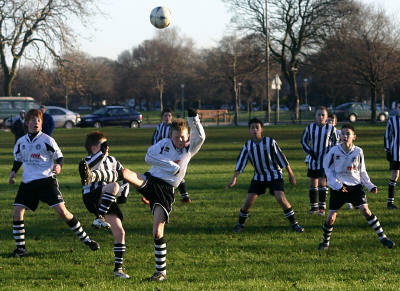 A feature of the Paladin Cup semi-final at Leith Links was the high-standard of behaviour among the players and spectators alike. Throughout the game, the youngsters on both sides were given non-stop encouragment and support and excellent match official, Jim Sim, kept firm and sensible control as the game 'heated up' in the second half. 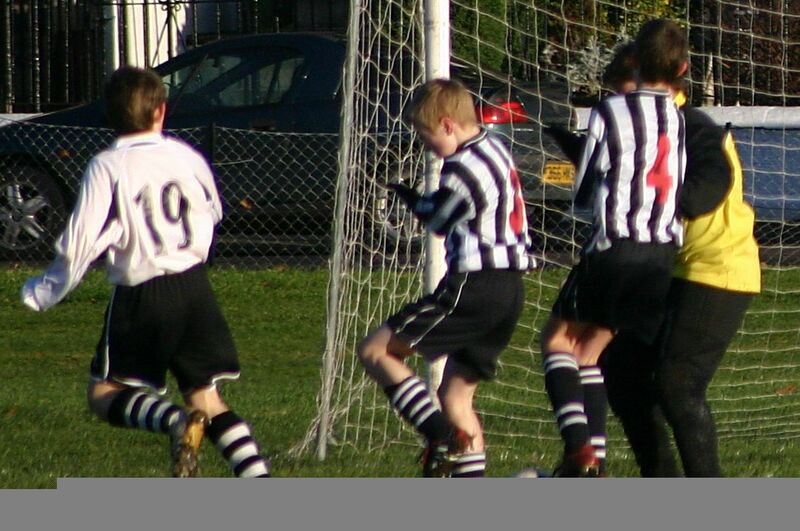 It was, in fact, another very good day for the image of competitive youth football in all respects. 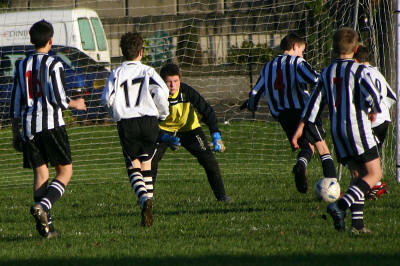 And the 2-1 win was one of the best possible Christmas presents for the Leith Athletic 93 players, coaches and fans! Good Luck and best wishes to both these massive youth clubs - and all other community-based football clubs - in the New Year as they seek to get better facilities from which to work within their respective communities. Leith Athletic 93 - Mark Rennie, Fraser Andrews, Grant Armstrong, Sean Boswall, Dale Churchmichael, Paul Crolla, Kerr Flannigan, Daniel Giles, Michael Hay, Jordan Lothian, Joe Ramage, Ethan Smith, Liam Wilson, Stuart Winton, Lewis Connolly, Conor Inglis. 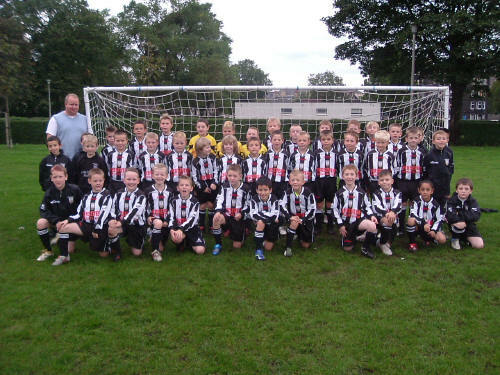 Edinburgh City Colts - Adam Moore, Terry Quinn, Marc McKeating, Alan Reid, Ross Grassie, Ryan Lamb, Matthew Gaunt, David Hutchison, Nicky O'Donnell, Jordan Lock, Christopher Graham, Ciaran McGuire, Michael Osborne, Laim O'Donnell, Sean Hay, Craig Lamb. Leith Athletic - Greig Turnbull, Paul Grant, Alasdair Fleming, Greg Douglas, Stuart Adams, Alan Murray, Connor Scott, Michael Park, Liam Tomassi, Mark Scott, Kayne Paterson, Christopher Joyce, Paul Ewing, Kristopher McLaughlin, Liam Allison. East Dunbartonshire - Andrew Smith, Grant Ritchie, Douglas Smith, Scott Patterson, Gary Ketterer, Matthew Imrie, Aaron Moore, Graig McMurray, Jordan Moore, Jamie Murrie, Chris Skinner, Laith Al-naeme, David Miller, Connor McLaughin, Anthony Luby, Dale McGoldrick. *Leith Athletic under-21s beat North Berwick 6-0 on Saturday in another cup game at the Links, with goals from Euan Campbell (2), Paul Devlin (2), Gary Black and James Robertson. Scottish Schools president, Stewart Taylor, presents East Ayrshire 'A' skipper with the Scottish Primary Schools Shield at the close of a great tournament at Meadowmill. The winning squad are seen celebrating a famous victory. Edinburgh Primary Schools 'A' select, in red tops, pictured along with the Capital's 'B' select (white tops) after the As finished in second spot, Bs in third place, in the Scottish Schools FA Primary Shield finals at Meadowmill. Where do you think this picture was taken? In some third world, country, maybe? PossibIy you are right, too! It was taken in the Saughton Mains distiict of Edinburgh and it is one of the outside walls of the Busy Bee pub. 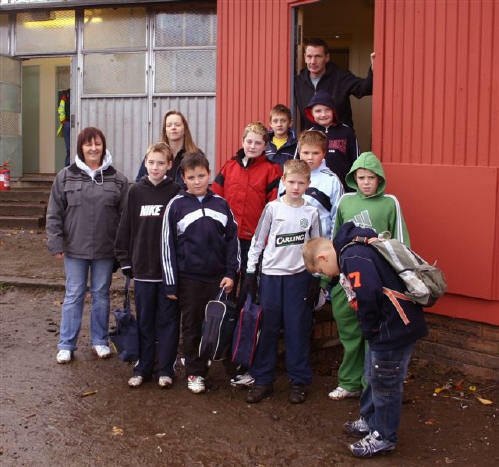 Kids from this area struggle to find somewhere to play at night and many of them and their families supported the efforts to have the East Football Project at nearby Saughton Park. The proposed building in the document detailing this wonderful project would have been a great place for young people and it could have been shared by many different sports clubs. The outdoor pitches would also have been a place for the kids to take part in coaching sessions and games, both on the small and full-sized 3G synthetic playing surfaces. Sadly, it is almost two years now since this project was launched with tremendous backing from so many people. It was to be shared by several different sports groups and activities, much the same as the fabulous Hallhill Healthy Living Centre in Dunbar. The operative word in the East Football Project is 'shared'! 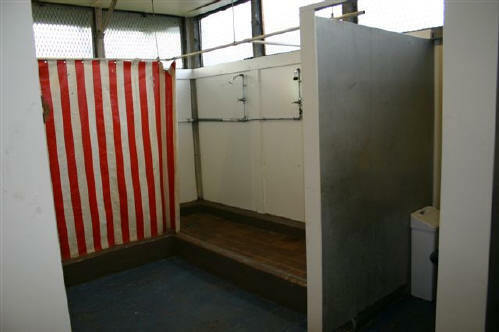 The building and facilities would not have belonged to any one club or group, they would have been shared by all - run for the community, on behalf of the community - by the community! 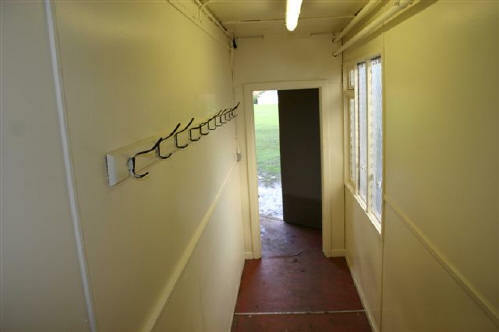 The East Football Project is currently run by a committee under the chairmanship of John McKenzie (Cavalry Park Sports Club). Progress is painfully slow, however, and it could continue for many more years to come. That, sadly, is the way things work in this city of ours! The kids at Saughton Mains and other parts of the Capital that would eventually have seen the buidling of more East Football Projets, will continue to be left on the sidelines on the dark nights in this third world sports country of ours. 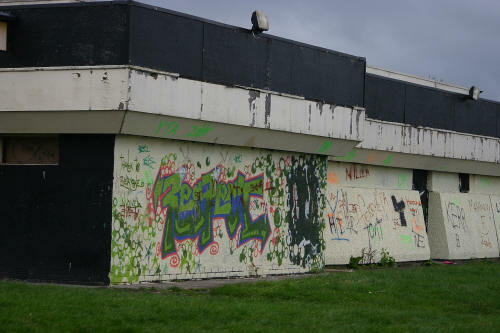 But steps are being taken to highlight all the terrible lack of modern, clean, hygienic and civilised facilities for young people by a resident of Saughton Main - Les Trotter. This wonderful volunteer who is actively interested in promoting football for young people at several different levels, is the organiser of the Unite the Clubs Protest March, planned for Wednesday, Februay 14, next year. Les has worked tirelessly on promoting this major event and he has already received overwhelming support from five different age goups in the Eastern Region Youth FA. If everyone involved in grass-roots football and other sports unite to make this a wonderful demonstration to both Edinburgh City Council and the Scottish Parliament, then politicians will be forced to give help. We all need to join forces and march alongside Les and the kids, thousands of them hopefully, to show we are united on this. Les can be contacted on lesflotrotter@hotmail.com. This action is being taken for the good of all kids, not just the elite in our society. Surely they all deserve the best facilities we adults can provide to give them a place to play. All of them! 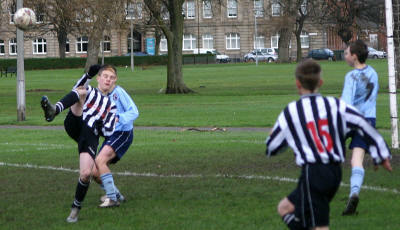 2 photographs taken on 29th September down at Leith Links. 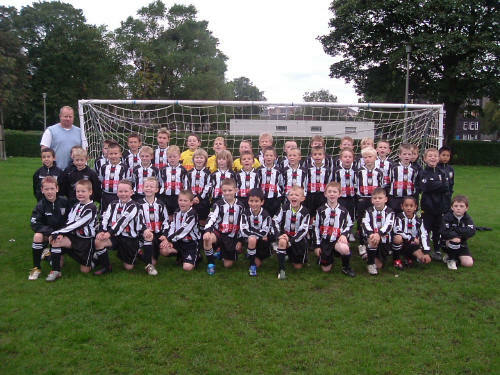 We gratefully received 35 new strips from "Persevere Private Hire Taxi`s" who are based in Leith, to cover our 3 teams. Archie Mason of Persevere Private hire is pictured alongside the boys. It was a fantastic gesture from persevere private hire and it is extremely pleasing that they are willing to sponsor grass root football to this level, within their local community. MUSSELBURGH Windsor FC U16’s side will be hoping Sunday, November 26, will be one to remember as they bid to get into the last 16 of the Scottish Youth FA’s National Competition. It is hoped that supporters of the team and youth club as well as football fans from across the Honest Toun will turn out at Olive bank Stadium for the 2.00pm kick-off. The match will see the Windsor players pit their talents against Mugiemoss Youth 16’s who play in the Aberdeen and District Juvenile league. 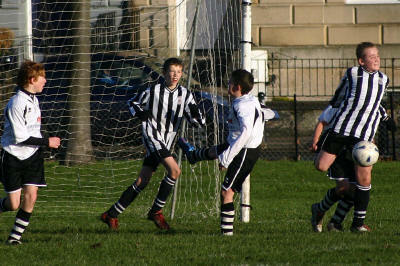 Musselburgh Windsor got off to a good start to the season winning 12 games and only losing 1. They remain in all competitions except one, and they hope to build on their success of winning three cups last season. The Scottish Cup run has seen them win all three without conceding a goal. A standard they hope to maintain for as long as possible. Head Coach Craig McCartney paid tribute to his players by praising the way in which they apply themselves on match day, but just as importantly on the training field. He also thanked team sponsors, James W Alexander Plumbing & Heating and the Woodside Hotel, both locally based businesses for their continued support. Next year, the team will travel abroad again in April, returning to defend the Tulip trophy in Amsterdam, Holland. 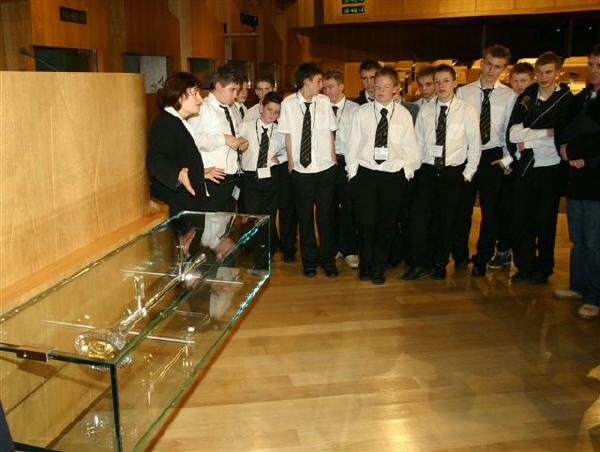 The boys won last year’s tournament competing against teams from Belgium, Holland, Switzerland, Scotland and Germany. East Lothian Primary Schools select side look just a wee bit disappointed after finishing fourth in the Scottish finals at Meadowmill. Parents of kids from Duddingston Primary School, Stuart Watt (right) and George Whitelaw (left0 with their respective 10-year-old sons, Sandy and Kerr, outside one of the repainted buildings at Double Hedges.